Dissolve the honey in the freshly brewed tea and chill until cold. Add all ingredients into a punch bowl and refrigerate for at least 4 hours. 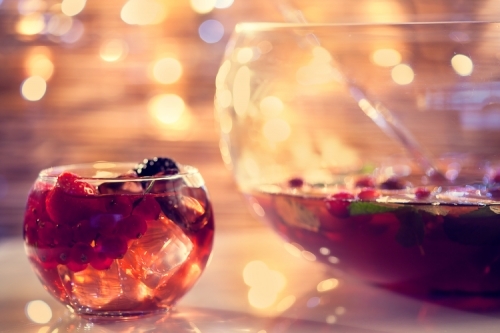 Take the punch bowl out of the fridge 30 mins before serving.